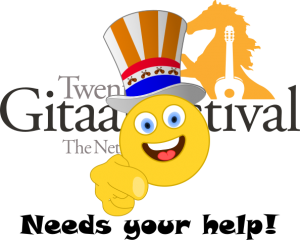 At the Twents Gitaarfestival, there will be two Fingerstyle workshops for beginners and advanced guitarists. In the workshop for the beginners, the basics oft he fingerstyle genre will be taught. The participants will try out several grooves, picking rhythms and right hand techniques (such as tabbing, and using the thumb-pick). In the workshop for the advanced guitarists, participants will learn about right hand techniques to vary in timbre, tabbing techniques, musical phrasing, chord progressions, turn arounds and the rhythmic accompaniment during their play. Pim Weierink (1991) started his study of classical music at the age of 17 at the ArtEZ Conservatory in Enschede. 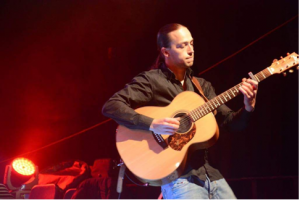 After studying classical / jazz guitar with Ulrich Steier, Sabrina Vlaskalic, and Reinier Baas, he decided to join the world of the Fingerstyle guitar. After having lessons from grandmaster Tommy Emmanuel, he wrote many arrangements and own compositions for the western guitar. Weierink knows by means of his great musical and technical knowledge how to bridge the gap between the different worlds of guitar styles.